Ed Boon Quizzes Fans for Preferred Next Project - DLC, Spin-Off or MK11? 44%, or roughly 5730 fans, voted in favour of more downloadable content for Mortal Kombat X! The extension of content for the current game pipped a Shaolin Monks adventure title sequel at 31%, or a completely new Mortal Kombat X sequel at 25%. 13,020 Twitter users registered their opinion. Even the seasoned series co-creator noted surprise at the end result, "Wow, certainly to my surprise....Kombat Pack 3 wins! To even MORE surprise.... MK11 comes in LAST!" Boon's been getting to know fans through many poll subjects of late, including April polls about missing MKX males and females. The top selling tenth installment in the Mortal Kombat series saw NetherRealm Studios release the biggest crop of post-release extras since they began producing DLC in 2011. Mortal Kombat XL bundled all extras into a complete download and disc release, including late arriving klassic arena The Pit, and Kombat Pack 2 fighters. 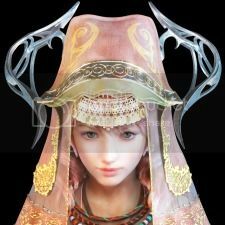 Surprising playable omissions [read more] and inaccessible non-playable characters [read more] have kept many fans fixated on further downloadable additions. As leaders in the industry experiment further with DLC platforms and expand post-release content models, it's clear the method becomes further ingrained in the mindset of fans eager to see more. Traditionally, a second release like Mortal Kombat XL indicates the end of a game's development lifespan, committing a complete content library to disc. This has the benefit of ensuring easy, long term access to fans who wish to play the game for years to come -- even without future publisher support, or changes in content licensing. "Kombat Pack 3" may seem attractive in the short term, but it begs the question: Would this also necessitate a third Mortal Kombat XXL, or would you be happy to lose your DLC? It's been over ten years since Mortal Kombat: Shaolin Monks was released for PlayStation 2 and Xbox. The third-person action-adventure game expanded the events of Mortal Kombat II into a story-driven 3D brawler starring Liu Kang and Kung Lao. Featured unlockable characters were Sub-Zero and Scorpion. Inconsistency in characterization and plotlines drew criticism from ardent fans at the time, but a fundamentally enjoyable gaming experience ensured Shaolin Monks amassed a strong dedicated following. Co-op and one-on-one fighting modes expanded a base that superbly adapted play style from the traditional 2D fighting games. Fans of Shaolin Monks, and subsequent Konquest game modes, have continued to call for a modern sequel or HD rerelease for years. Boon discussed the genesis of the original during Mortal Kombat X promotion in 2014, revealing its origins as a Raiden demo pitch from an outside studio [full story]. It might be argued that fans' short-term desires overwhelmed their choice of Kombat Pack 3 over the option of an entire new game. Twenty dollars can buy many peanuts, and a new game can provide many characters! What's undeniable: the fact that Mortal Kombat X has connected with fans who continue to seek more from the game. Former DC Comics writer Jim Krueger contributed to the story script for Shaolin Monks. Interestingly enough, Boon singled out the absence of an Injustice: Gods Among Us option on his poll: "LOL ... That's not on the list." What do you want to see next? Register to tell us what NetherRealm Studio's next game should be on the forum. Do you want one of these options, or something else? Share your thoughts, and share this article via @MK_Online and Facebook! 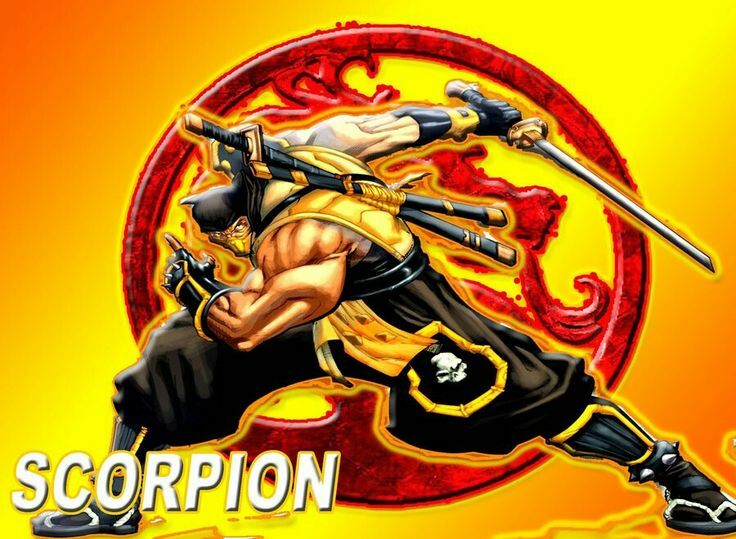 I'm of the belief that if they do release another adventure game it will undoubtedly star Scorpion and Sub-Zero. They've been wanting to do "Fire and Ice" for years. The MK9 Sub-Zero ending coupled with the fully-canon peace and alliance between the Shirai Ryu and Lin Kuei in MKX pretty much seals it. I'd rather have MK11 over the KP3 and a sequel to MKSM. Plus, MKSM was not even canon. I really wanna see how they follow up on MKX. I voted for KP3. MK11 will come out in a few years or so, regardless. And as eager as I am to see the story continue, voting for it on a poll probably won't really make it come any faster. <br/> <br/>If they do a KP3, I just hope there are no more guests. Give us the poll winners and 2 other MK characters, and end the run of MKX on a positive note. I voted for KP3. MK11 will come out in a few years or so, regardless. And as eager as I am to see the story continue, voting for it on a poll probably won't really make it come any faster. If they do a KP3, I just hope there are no more guests. Give us the poll winners and 2 other MK characters, and end the run of MKX on a positive note. I agree. They need to make a Mortal Kombat 11 with better characters than Mortal Kombat 10. Me and people I know have made touch up to existing characters as well as made some new original characters that would be standout characters in the game as far as their look and their gameplay. Some of those characters that Mortal Kombat 10 came out with were just plain corny looking. I'm starting to get tired of Mortal Kombat's creative apathy when it comes to their characters. They keep relying on Scorpion and Sub-Zero to carry the franchise. These characters have been in every Mortal Kombat release and they are wearing off their novelty. Shaolin Monks is not going to be successful if they spend time and effort releasing that into an adventure game. I think most fans want an adventure game inside of a fighting game. 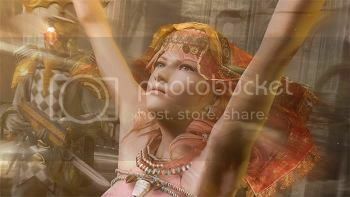 <br/> <br/>We've posted some brilliant ideas for the game under the alias "Esoteric" for the game to gain more momentum in the fighting game market but they've ignored all the ideas. And none of the fans can come up with any better ideas than the ones that were presented. I just hope that they get an epiphany and use some of our ideas to make their video game better. Because Tekken is only getting better and Killer Instinct has surpassed Mortal Kombat as one of the better fighting games. I agree. They need to make a Mortal Kombat 11 with better characters than Mortal Kombat 10. Me and people I know have made touch up to existing characters as well as made some new original characters that would be standout characters in the game as far as their look and their gameplay. Some of those characters that Mortal Kombat 10 came out with were just plain corny looking. I'm starting to get tired of Mortal Kombat's creative apathy when it comes to their characters. They keep relying on Scorpion and Sub-Zero to carry the franchise. These characters have been in every Mortal Kombat release and they are wearing off their novelty. Shaolin Monks is not going to be successful if they spend time and effort releasing that into an adventure game. I think most fans want an adventure game inside of a fighting game. We've posted some brilliant ideas for the game under the alias "Esoteric" for the game to gain more momentum in the fighting game market but they've ignored all the ideas. And none of the fans can come up with any better ideas than the ones that were presented. I just hope that they get an epiphany and use some of our ideas to make their video game better. Because Tekken is only getting better and Killer Instinct has surpassed Mortal Kombat as one of the better fighting games. <div class="forumQuote"><b>frabn Wrote:</b><br/>I'm of the belief that if they do release another adventure game it will undoubtedly star Scorpion and Sub-Zero. They've been wanting to do "Fire and Ice" for years. The MK9 Sub-Zero ending coupled with the fully-canon peace and alliance between the Shirai Ryu and Lin Kuei in MKX pretty much seals it.</div> <br/> <br/>I agree with this however I see if they ever did a sequel to one of their spin-offs wouldn't it make better sense to make MK Mythologies 2 featuring Bi Han after he becomes Noob Saibot? I think it would but going back to this voting. Fans who really hated KP2 are more than likely the ones that voted for KP3. Look at some of the fighters that people had asked for that never made it in KP2 that should have. Fujin was the biggest request out of all characters to name one. Also with the passing of Prince, and with nearly everyone else paying tribute to the fallen musician just about every week or so, it wouldn't surprise me if video games start doing it as well if some haven't already. Also a lot of fans also want more classic finishers, but I'd love to see one more Pit stage from the past make a return. My favorite, The Pit II from MKII has never been redone and correct me if I am wrong but MK fans still vote this as their favorite pit. All we can now is wait and see. I agree with this however I see if they ever did a sequel to one of their spin-offs wouldn't it make better sense to make MK Mythologies 2 featuring Bi Han after he becomes Noob Saibot? I think it would but going back to this voting. Fans who really hated KP2 are more than likely the ones that voted for KP3. Look at some of the fighters that people had asked for that never made it in KP2 that should have. Fujin was the biggest request out of all characters to name one. Also with the passing of Prince, and with nearly everyone else paying tribute to the fallen musician just about every week or so, it wouldn't surprise me if video games start doing it as well if some haven't already. Also a lot of fans also want more classic finishers, but I'd love to see one more Pit stage from the past make a return. My favorite, The Pit II from MKII has never been redone and correct me if I am wrong but MK fans still vote this as their favorite pit. All we can now is wait and see. Did MK:SM really come out ten years ago? Man. Why not use MKX as a platform? Just add another row to the select screen (17) 12 Klassics(that add to the story) and 5 NEW Characters. 8 More Arenas 4 Klassic and 4 NEW. 8 Chapters to Story Mode that tell the story of the NEW Deadly Alliance Liu Kang & Kitana. Still have the option to play MKX towers with MKX endings. It wouldn't take 4 years to make. they could release content similar to Killer Instinct on a monthly bases to keep the game fresh. If they do a new adventure game, there is a big chance its gonna be about the big gap between mk9 and mkx. Plus they can re use alot of assets/models from mkx. Well, leave it to our old friend Ed Boon to throw some fuel on the fire. He's updated his Twitter avatar with this... <br/> <br/><IMG Src="https://pbs.twimg.com/media/CkDtV-OXAAAd2kZ.jpg" width="95%" <br/> <br/>Ambiguous, to say the least. Speculation has already run rampant. 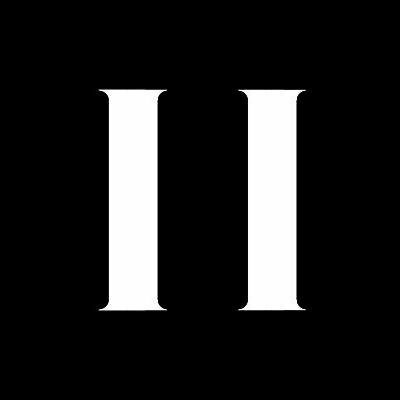 Is it an 11(as in MK11) or a roman numeral 2(as in Injustice 2...or hell, Shaolin Monks 2)? The font closely resembles what was used for Mortal Kombat X/XL. When asked directly which it meant (MK 11 or Injustice 2), he simply replied, "Damn good question". Not content to let the chatter die, he later tweeted, "2 or 11 indeed..." <br/> <br/>For what it's worth, a couple of ESL staff have also made the 11(2?) their avatar as well. I suspect we may be getting an announcement on NRS' new project at ESL finals on June 11th...maybe it's an eleven after all...:legacy_tongue:. <br/> <br/>AAAANNNNNNDDDDDD speculate. Ambiguous, to say the least. Speculation has already run rampant. Is it an 11(as in MK11) or a roman numeral 2(as in Injustice 2...or hell, Shaolin Monks 2)? The font closely resembles what was used for Mortal Kombat X/XL. When asked directly which it meant (MK 11 or Injustice 2), he simply replied, "Damn good question". Not content to let the chatter die, he later tweeted, "2 or 11 indeed..."
For what it's worth, a couple of ESL staff have also made the 11(2?) their avatar as well. I suspect we may be getting an announcement on NRS' new project at ESL finals on June 11th...maybe it's an eleven after all... . Speculate, shmeculate. It's Injustice 2, a.k.a. the game that forces me to wait an additional two years until the next MK. <div class="forumQuote"><b>Zebron Wrote:</b><br/>Speculate, shmeculate. It's Injustice 2, a.k.a. the game that forces me to wait an additional two years until the next MK.</div> <br/> <br/>Probably so...but what if it wasn't? <br/> <br/> <br/> <br/> <br/> <br/> <br/> <br/> <br/> <br/>But it is. Probably so...but what if it wasn't? Clearly Injustice 2...I don't even know who Boon thinks he's trolling, his latest tweets are all DC.